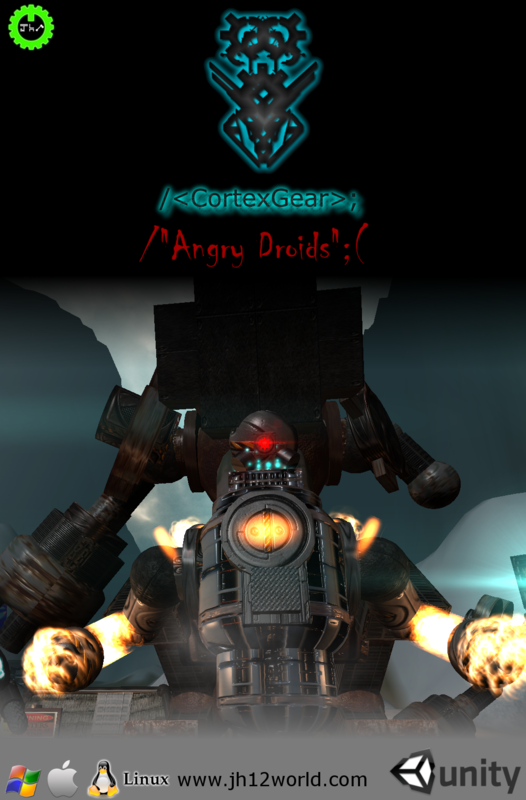 CORTEXGEAR: ANGRYDROIDS The hardest Sci-Fi shooting sidescroller Is a classic 3D Sci-Fi shooting sidescroller where quick tactics and skills need to be in harmony the beat the game. A run-and-gun shooter with both mouse and keyboard controls at the same time. An adventure game with an emotional story and epic game-play, it's a game for PC, Mac and Linux.